Ready to take your ATV's sound to the next level? Ready to take your ATV's sound to the next level? This Rockford Fosgate kit includes everything you need to install a pair of amplifiers on select Polaris RZR models. 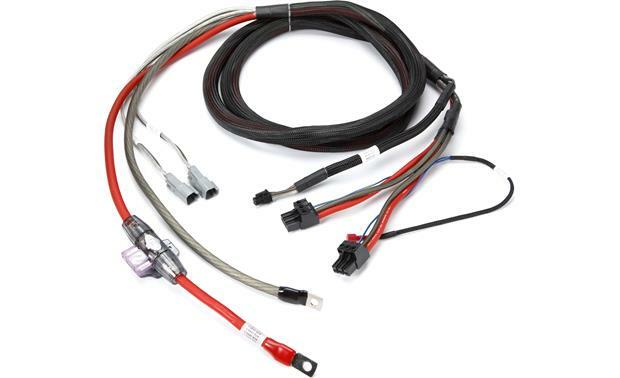 This 4-gauge wiring kit includes all power and ground wiring, front speaker wiring, and a configurable amp mounting plate with hardware. It's designed to fit both 2-seat and 4-seat RZR models, and bolts directly into the OEM mounting holes. No drilling is required, and all wiring is pre-cut. The kit works with Rockford Fosgate Power (small chassis) and Punch PBR amps. 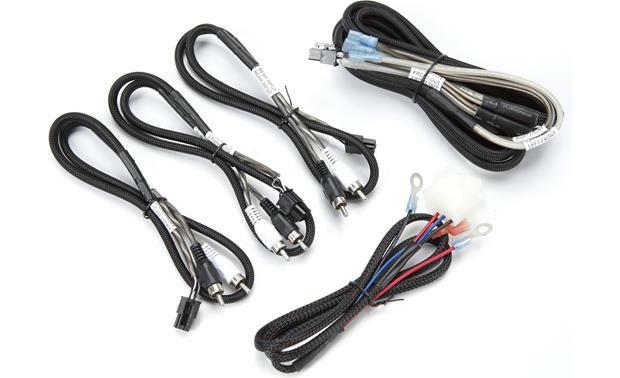 RZR Dual Amplifier Installation Kit: The Rockford Fosgate RZR Dual Amplifier Installation Kit (RFRZ-K4D) utilizes 4AWG wire and allows for installation of two amplifiers which includes all power/ground wiring, front speaker wiring, and amplifier mounting plate with hardware. 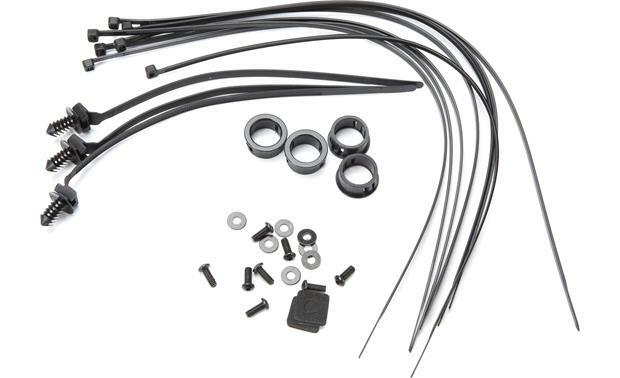 Polaris Compatibility: The RFRZ-K4D dual amplifier installation kit is specifically designed for the following 2014-2016 Polaris RZR model ATVs (works with both 2 seat and 4 seat RZR models). Notes: *For RZR S 900 and RZR 4 900 model installations, the additional purchase of the RZR 1000 center pocket is required to facilitate the proper mounting of the dash kit and PMX series source unit. Part #5439789-070 (Panel, double-din, black) is available at your local Polaris dealer. 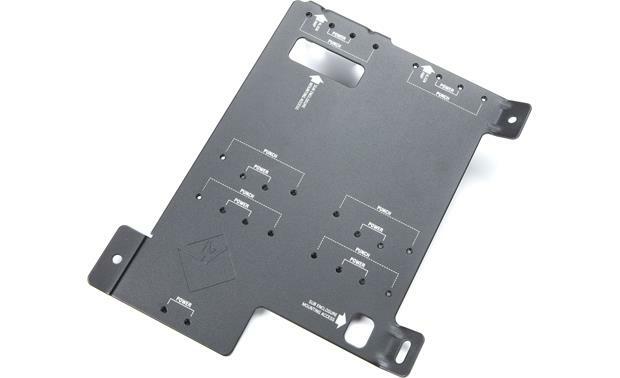 Direct Bolt Mounting Bracket: The included amplifier mounting bracket with multi-amp configurations works with Power small chassis and Punch PBR model amplifiers. It bolts directly to your compatible Polaris RZR ATV using the factory mounting holes; no drilling required. 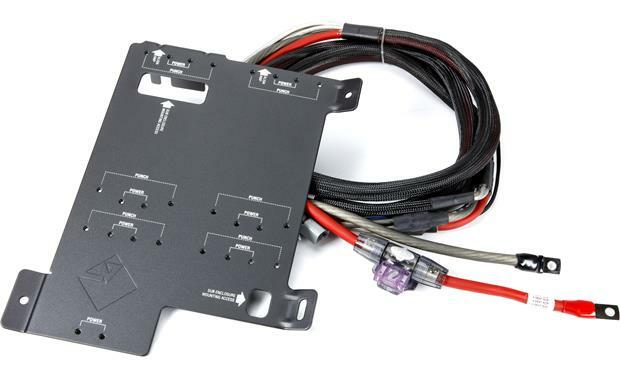 Searches related to the Rockford Fosgate RFRZ-K4D Dual amp kit and mounting plate for select Polaris RZR models.